The transparent handling of your user data is particularly important to us. 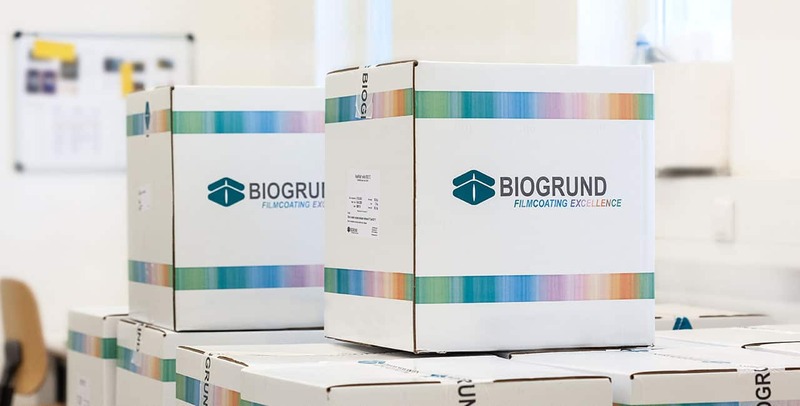 We, the company Biogrund GmbH, Neukirchner Str. 5, 65510 Hünstetten, would like to inform you in detail about the use of your data during your visit to our homepage www.biogrund.com in the following as the body responsible for data processing. If you use this website, various personal data will be collected. Personal data is data with which you can be personally identified. This data protection declaration explains which data we collect and for what purpose we use it. It also explains how and for what purpose this is done. Our data protection declaration is based on the terms used by the European legislator in the Basic Data Protection Regulation (DSGVO). In order to ensure good legibility and comprehensibility, we would like to explain the terms used in advance. Processing” means any operation or set of operations which is carried out with or without the aid of automated processes and which relates to personal data, such as collection, recording, organisation, sorting, storage, adaptation or alteration, retrieval, consultation, application, disclosure by transmission, dissemination or otherwise making available, alignment or association, qualification, erasure or destruction. Profiling is any automated processing of personal data consisting in the use of such personal data to evaluate certain personal aspects relating to a natural person, in particular to analyse or predict aspects relating to the work performance, economic situation, health, personal preferences, interests, reliability, behaviour, whereabouts or movements of that natural person. The controller shall be the natural or legal person, public authority, agency or other body which alone or jointly with others determines the purposes and means of the processing of personal data. Where the purposes and means of such processing are laid down by Union law or by the law of the Member States, the controller or the specific criteria for his designation may be laid down by Union law or by the law of the Member States. – other similar data and information used to avert dangers in the event of attacks on our information technology systems. – to provide law enforcement authorities with the information they need for criminal prosecution in the event of a cyber attack. This anonymously collected data and information is therefore evaluated by us both statistically and with the aim of increasing data protection and data security in our company. Our aim is to ensure an optimum level of protection for the personal data we process. Data processing is therefore based on a legitimate interest pursuant to Art. 6 para. 1 lit. f DS-GVO. The anonymous data of the server log files are stored separately from all personal data provided by a person concerned, e.g. information in a form. The duration of the storage depends on whether the storage is still necessary for one of the aforementioned purposes. If this is not the case and there is no other legal basis for the storage, the log files and the information contained therein will be deleted after 3 days. Due to legal regulations, our website contains information which enables us to be contacted quickly and electronically and to communicate directly with our company, which also includes a general address for so-called electronic mail (e-mail address). If a person concerned contacts us by e-mail, the personal data transmitted by the person concerned is automatically stored. Such personal data transmitted voluntarily by a data subject to the data controller will be stored for the purposes of processing or contacting the data subject. The legal basis for data processing in this case is Art. 6 Para. 1 lit. b DS-GVO This personal data is not passed on to third parties. The data arising in this connection will be deleted after storage is no longer required or processing will be restricted if there are legal storage obligations. For security reasons, we strongly recommend that you transmit e-mails exclusively in encrypted form. Please do not send us any sensitive data by unencrypted e-mail. If necessary, please contact us in advance to agree on a suitable end-to-end encrypted channel. Some of the Internet pages use so-called cookies. Cookies do not damage your computer and do not contain viruses. Cookies serve to make our offer more user-friendly, more effective and safer. Cookies are small text files that are stored on your computer and saved by your browser. Most of the cookies we use are so-called “session cookies”. They are automatically deleted at the end of your visit. Other cookies remain stored on your end device until you delete them. These cookies enable us to recognize your browser during your next visit. You can set your browser so that you are informed about the setting of cookies and only allow cookies in individual cases, accept cookies for certain cases or generally exclude them and activate the automatic deletion of cookies when closing the browser. If cookies are deactivated, the functionality of this website may be restricted. Cookies that are necessary for the execution of the electronic communication process or for the provision of the services may be disabled. Cookies, which are necessary for the execution of the electronic communication process or for the provision of certain functions requested by you, are stored on the basis of Art. 6 Para. 1 lit. f DSGVO. The website operator has a justified interest in the storage of cookies for the technically error-free and optimised provision of its services. Insofar as other cookies (e.g. cookies for analysing your surfing behaviour) are stored, these are dealt with separately in this data protection declaration. We use the WordPress plugin “WP Statistics” (https://wp-statistics.com) of the provider “Verona Labs” 5460 West Main Street, Verona, NY 13478, USA, (https://veronalabs.com) on our website. The Plugin serves us for the analysis of the user behavior on our Website. The processing is based on a legitimate interest within the meaning of Art. 6 para. 1 lit. f. DS-GVO as legal basis. Our legitimate interest lies in being able to provide the user with content that is as precisely as possible and interesting for the user by analysing user behaviour, and in being able to optimise our Internet offering in this way. To protect your online identity, your IP address is completely replaced by a hash value, which means that subsequent identification is no longer possible. Neither is a cookie used to track your Internet activities, nor is geolocalisation carried out. In addition, all data is stored and processed exclusively on our local web server within Germany. This page uses so-called web fonts provided by Google for the uniform display of fonts. The Google Fonts are installed locally. A connection to Google’s servers does not take place. This site uses SSL or TLS encryption for security reasons and to protect the transmission of confidential content, such as orders or enquiries that you send to us as the site operator. You can recognize an encrypted connection by the fact that the address line of the browser changes from “http://” to “https://” and by the lock symbol in your browser line. If SSL or TLS encryption is activated, the data that you transmit to us cannot be read by third parties. In addition to this website, we also maintain presences in various social media, which you can reach via the corresponding buttons on our website. If you visit such a presence, personal data may be transmitted to the provider of the social network. It is possible that in addition to the storage of the specific data you have entered in this social medium, further information may also be processed by the provider of the social network. In addition, the social network provider may process the most important data of the computer system from which you visit it – for example, your IP address, the processor type and browser version used, including plug-ins. If you are logged in with your personal user account of the respective network while visiting such a website, this network can assign the visit to this account. Any person concerned by the processing of personal data has the right, granted by the European Data Protection Supervisor, to object at any time to the processing of personal data concerning him on the basis of Article 6 para. (1) lit (e) or (f) (legitimate interest) of the DSGVO for reasons arising from his particular situation. In the event of breaches of data protection law, the person concerned has the right to lodge a complaint with the competent supervisory authority. The responsible supervisory authority for data protection issues is the data protection officer of the federal state in which our company is based. A list of data protection officers and their contact details can be found at the following link: https://www.bfdi.bund.de/DE/Infothek/Anschriften_Links/anschriften_links-node.html. The use of published postal addresses, telephone or fax numbers and email addresses for marketing purposes is prohibited, offenders sending unwanted spam messages will be punished. The operators of these pages expressly reserve the right to take legal action against unsolicited mailing or e-mailing of spam and other similar advertising materials. 10.